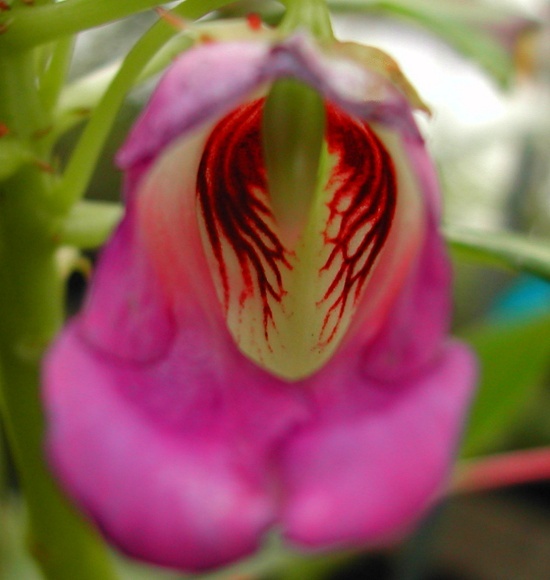 This plant is so rare, these may be the first photos of it on the internet! 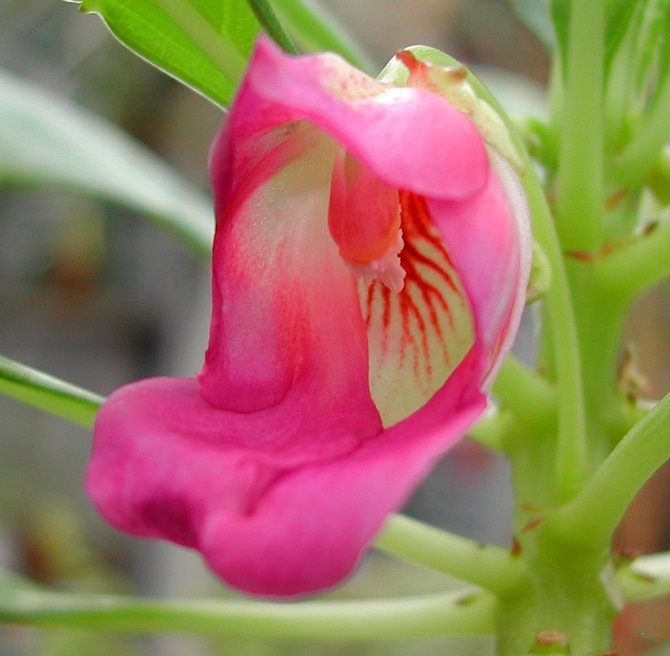 Impatiens zenkeri is a fascinating species discovered in the jungles around Cameroon in central Africa. Its most obvious feature is its beautiful magenta blooms shaped like an exotic seashell. But it also makes strange, swollen growths along the stems that act like tubers and can be planted! This is a unique species that probably isn't available elsewhere online. Impatiens zenkeri is closely related to my Impatiens claeri, and was once considered a subspecies of it. It is a robust plant that makes wavy, rigid stems that meander about 2 to 3 feet tall and wide. Along the stems appear random nodules about the size of a peanut. 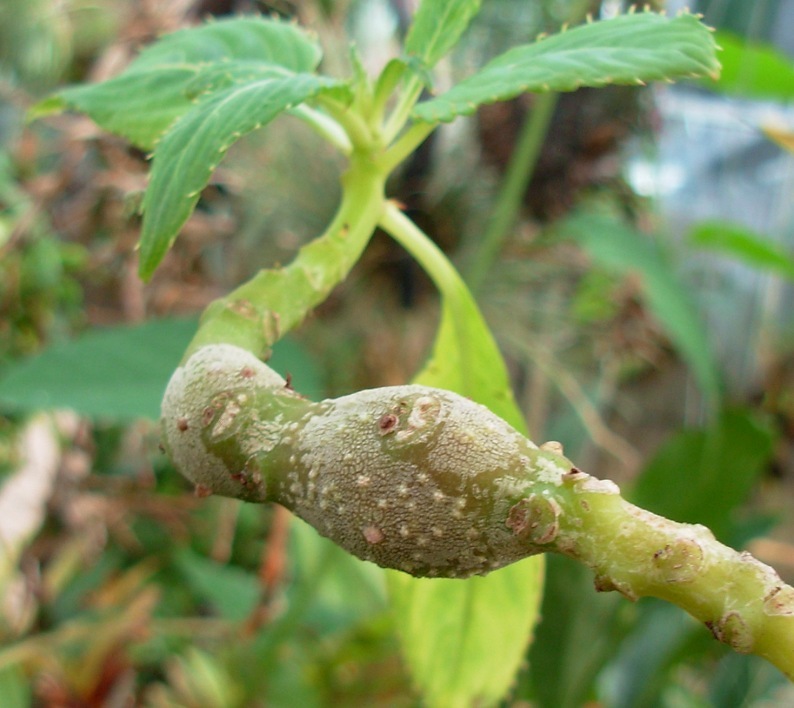 If a branch breaks off or the plant is stressed, the nodules fall off and will grow into a new plant! This is a great adaptation to life in the jungle. The flowers appear in waves throughout the year. These unusual blooms are about 2 inches long and look sort of like a nautilus shell. The color can vary slightly depending on growing conditions, but it's generally magenta fading to white, with deep-red veins inside. 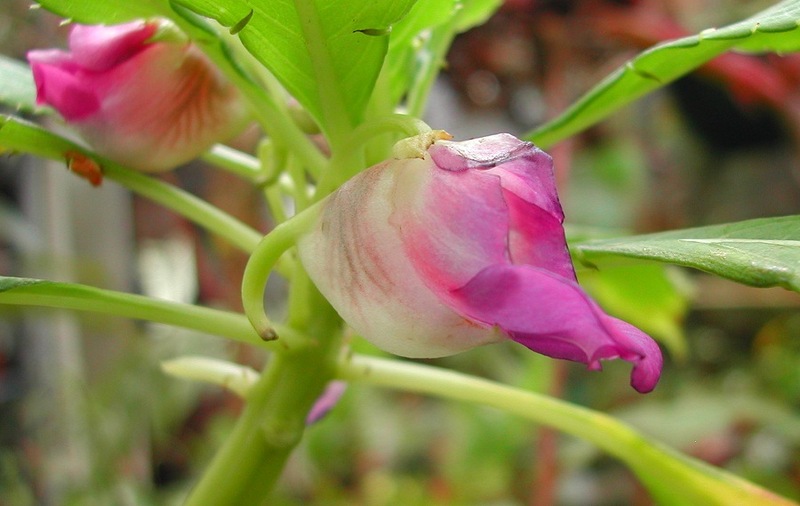 You might be able to cross-breed this species with a few other Impatiens to create new hybrids. It comes from mountain rain forests, where daytime temperatures are usually between the low 70s to upper 80s (22-31°C), and nights are between 60 and 70°F (16-21°C). I haven't tried it outside that temperature range, and i recommend using caution if you do. I have found it to be easy to grow and quite vigorous. Like most Impatiens, it prefers fertile, well-draining soil that's kept evenly moist. It likes bright, filtered light, and will need protection from strong afternoon sun. Over about 40-50% humidity is best.